The BenQ MX631ST is a short throw projector with native XGA resolution (1024 x 768 pixels, 4:3 aspect ratio) producing 3200 ansi lumens. Good choice for training rooms or class rooms. 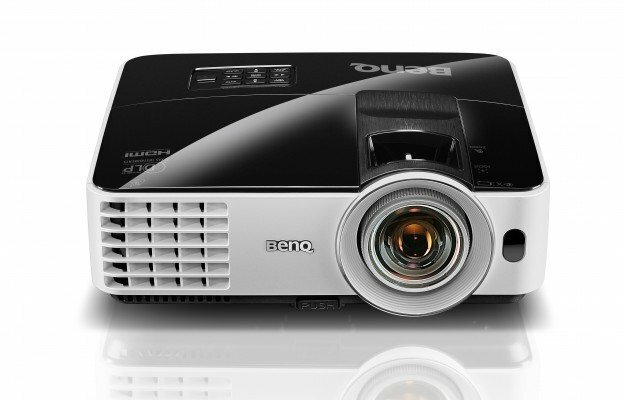 The BenQ MX631ST is a short throw projector featuring a bright 3200 ansi lumens and native XGA resolution (1024 x 768 pixels, 4:3 aspect ratio) an ideal choice for use in classrooms or training rooms. The BenQ MX631ST is backed by a rock solid Manufacturer warranty for peace of mind presenting and is by far our most popular short throw XGA projector. Zero Disruptions :Say goodbye to the annoying shadows. With a projection distance this close, you can move freely without worrying about obstructions between the projector and the screen!